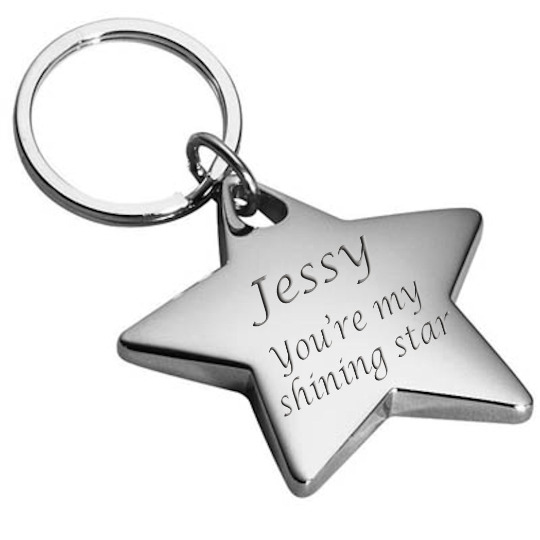 This engraved silver star keychain has a cool polished non-tarnish finish that looks really great when customized on both sides. Its smooth rounded finish and flat back will make your keys looks great. It is a great personalized gift for the star in your life!